This loss was a residential (Class 3 | Cat 1) water loss. The water supply line in the upstairs bathroom failed and the water ran down behind the backsplash in the kitchen. The primary objective here was to retain the granite countertops and replace only the tile backsplash. 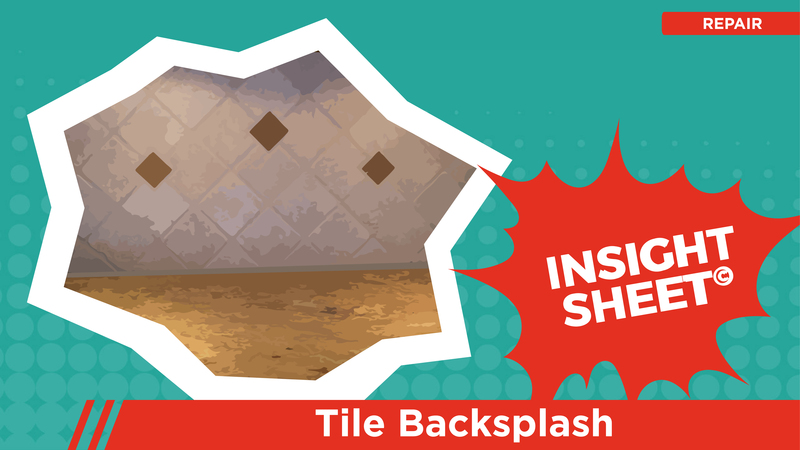 The backsplash itself was removed during the demo phase by the mitigation crew. 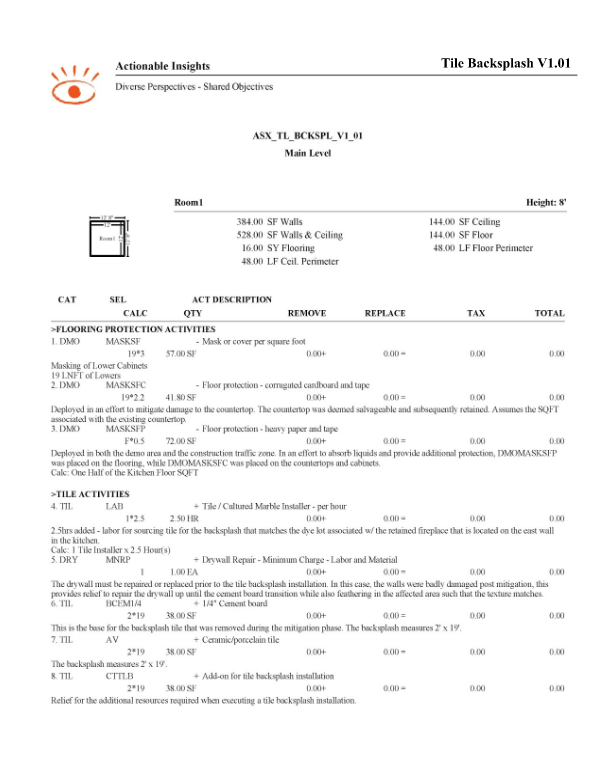 This Insight Sheet(C) exists to clarify how one might invoice for an install of a tile backsplash. This does not seek to include or make concessions for all equipment and/or activities as it relates to a loss of this nature.